Located in a new mid-rise building in the LODO section of Denver, this was the second build-out for the company, 2 Degrees. The design called for an honest expression of the space by exposing the ceiling in many areas of the offices and celebrating the raw concrete floor. Translucent panels were designed to provide privacy for some of the spaces. 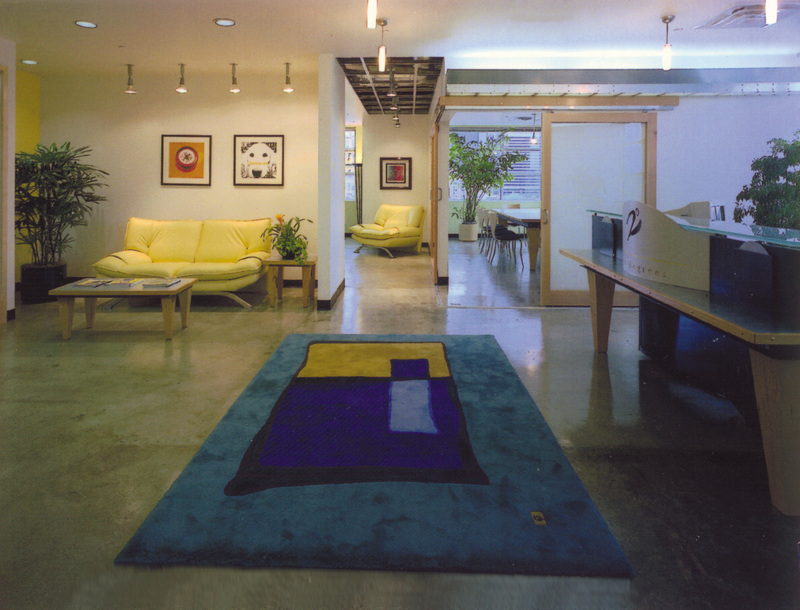 The entry lobby is warm, open, and bright and incorporates the colors that are found in the company catalog.